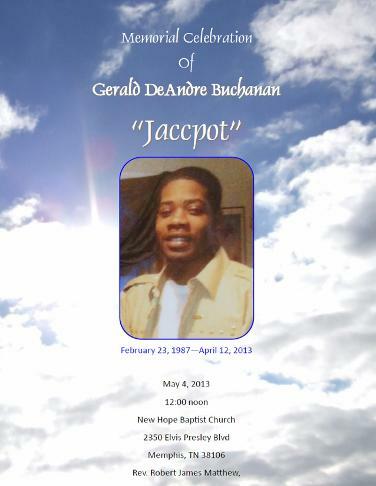 Just click on the funeral program cover photo of Gerald "Jaccpot" Buchanan Jr. on the right side of this web page to view the funeral program booklet. Click on the video below to view the funeral services. Click the above video to watch video clips and photos of the memorial celebration of Jaccpot.